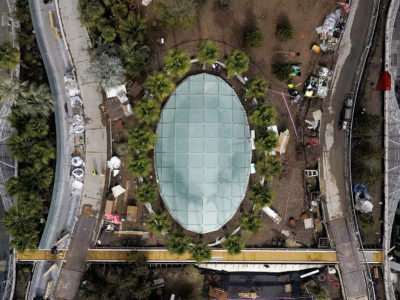 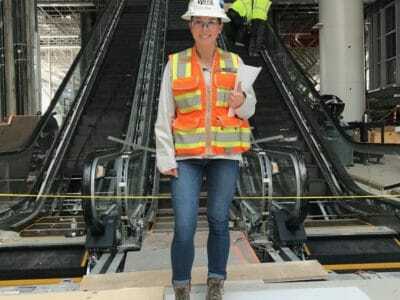 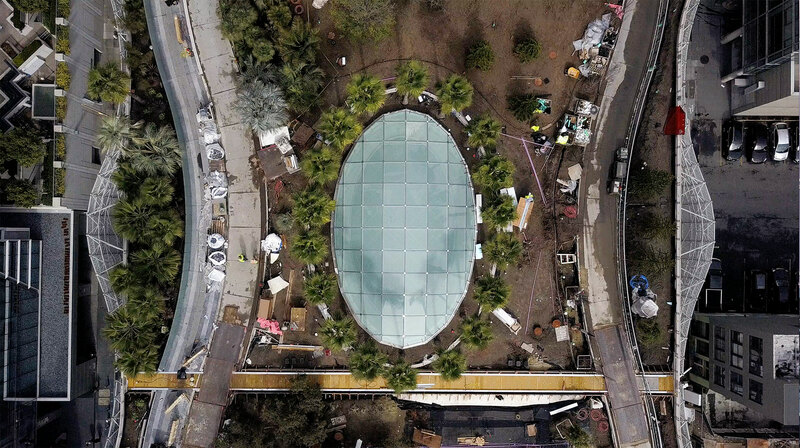 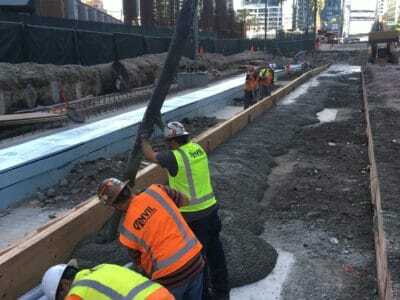 The Salesforce Transit Center in downtown San Francisco replaces the former Transbay Terminal as the principle transportation hub of northern California, connecting eight Bay Area counties, along with the rest of the State, through eleven transportation systems. 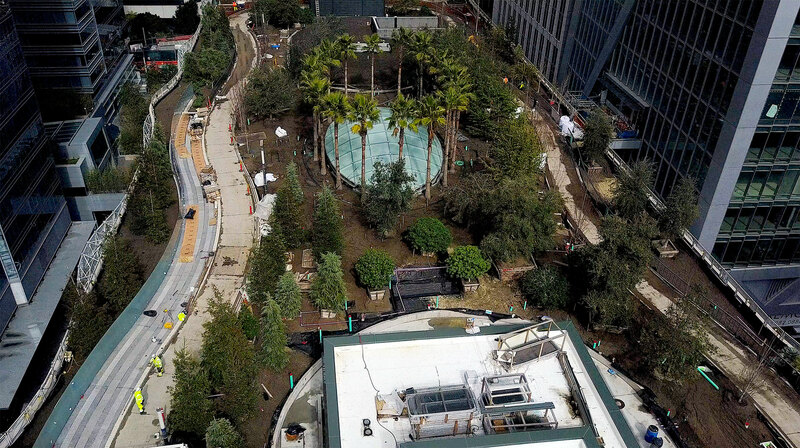 In addition to the more than one million square feet dedicated to transportation services, the Center’s sleek ultramodern design includes a 5.4-acre rooftop public park, pedestrian bridges to surrounding development, and an abundant selection of retail shopping and dining options. 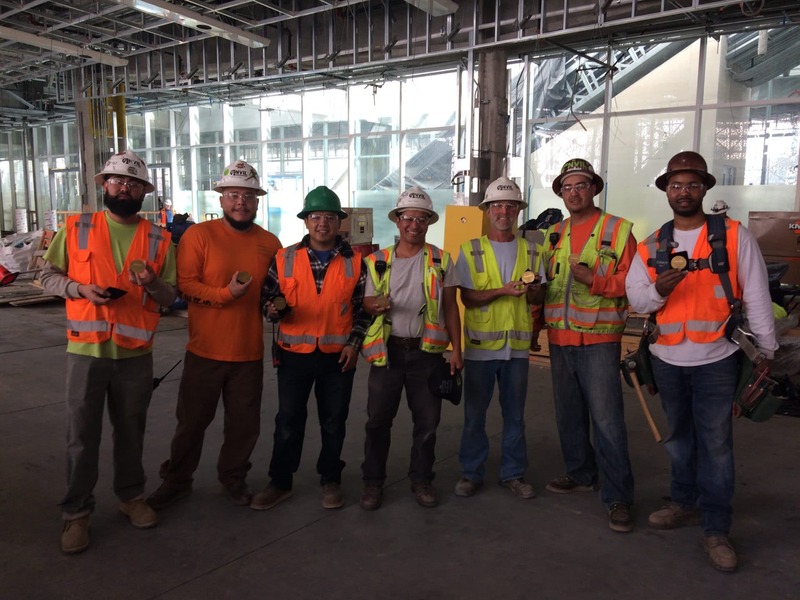 Anvil Builders was involved for the duration of the multi-year project, providing temporary facilities throughout the site. 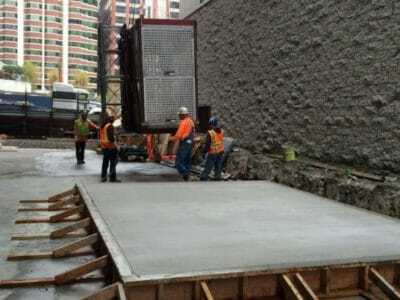 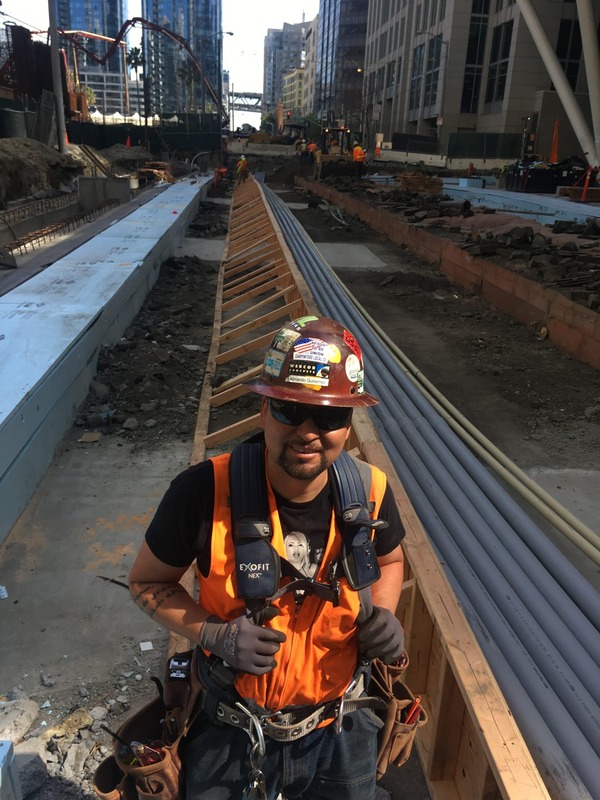 Responsibilities included erecting and operating all project manlifts, establishing safe access for other trades, installing and relocating temporary restrooms, removing construction waste and miscellaneous debris, and conducting a composite cleanup of areas upon completion. 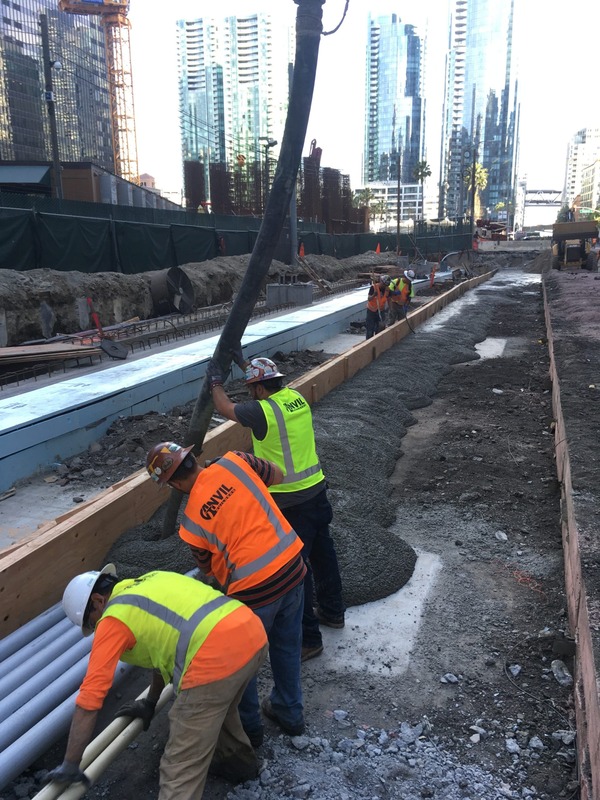 Anvil was also responsible for sampling and testing dewatering discharge, controlling and cleaning up surface water runoff, and providing miscellaneous safety items. 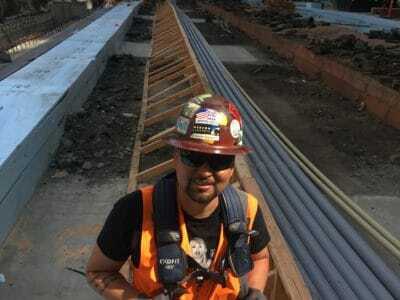 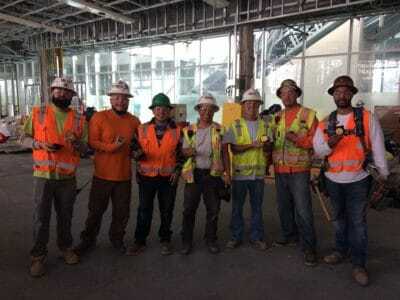 The vast size of the project, frequent changes to site access points and work zones, and multiple trades working in close proximity created an environment in which adept and proactive leadership was a necessity. 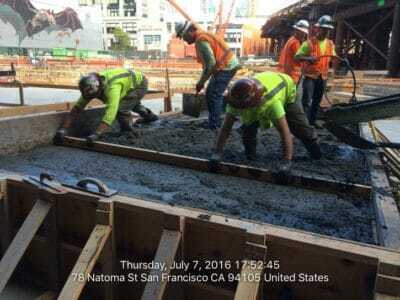 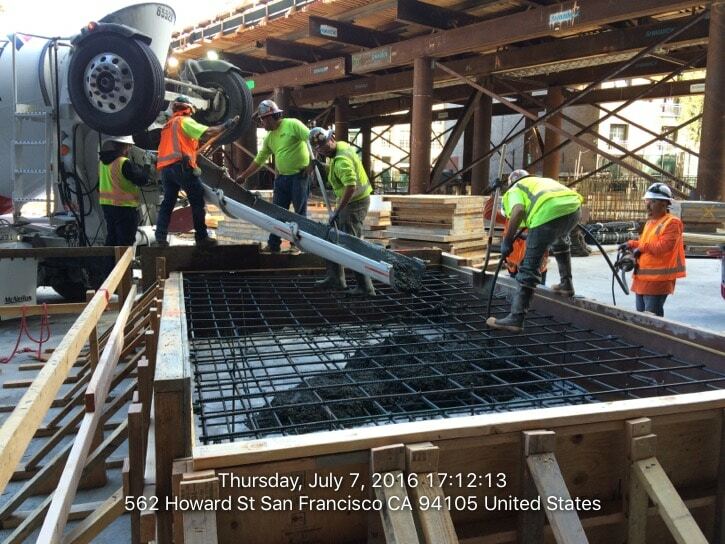 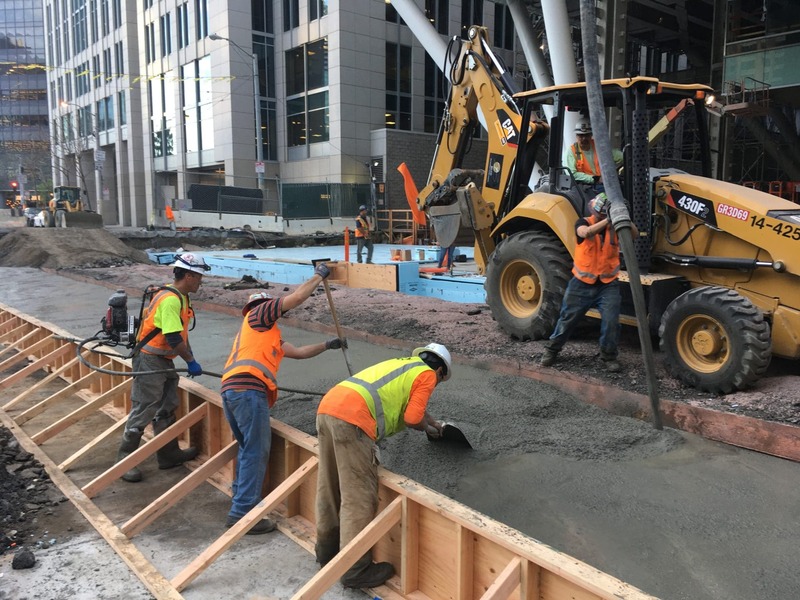 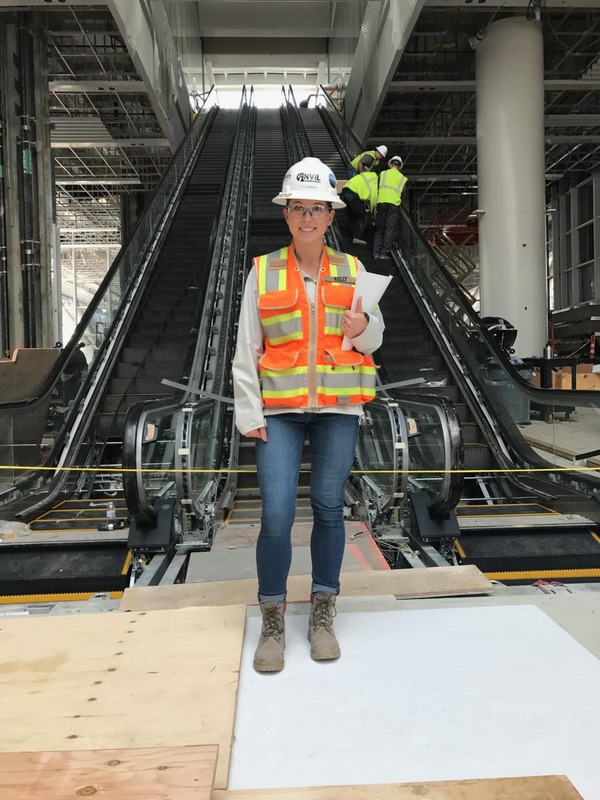 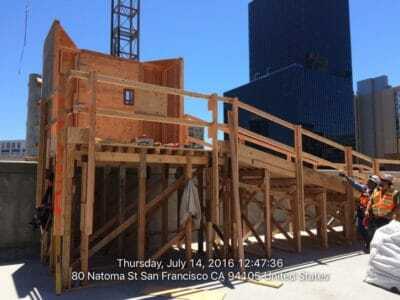 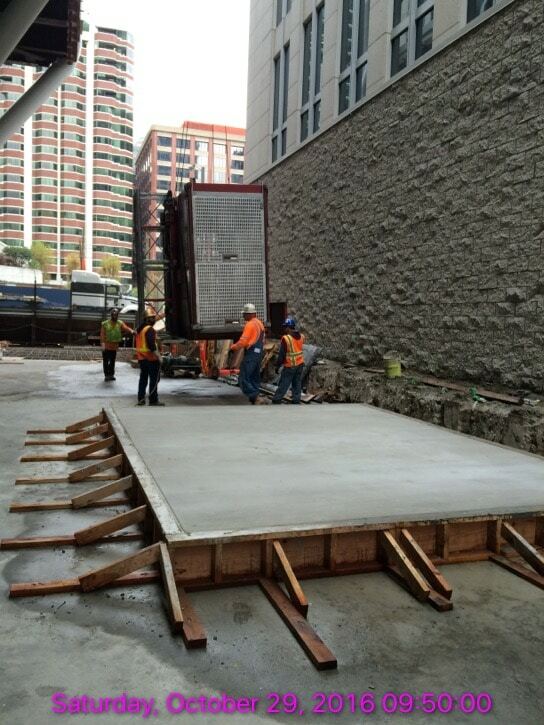 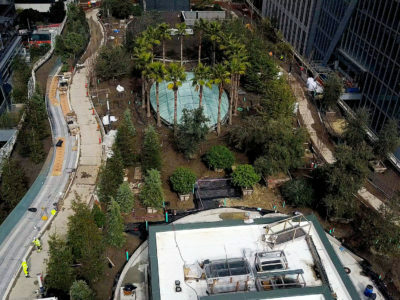 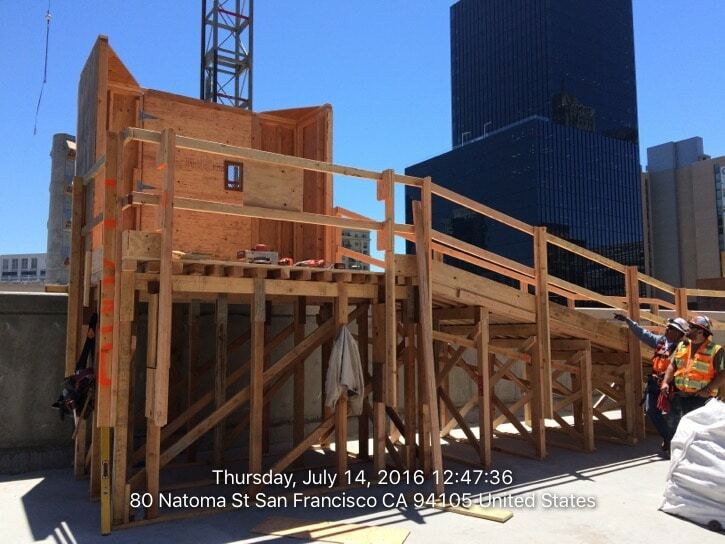 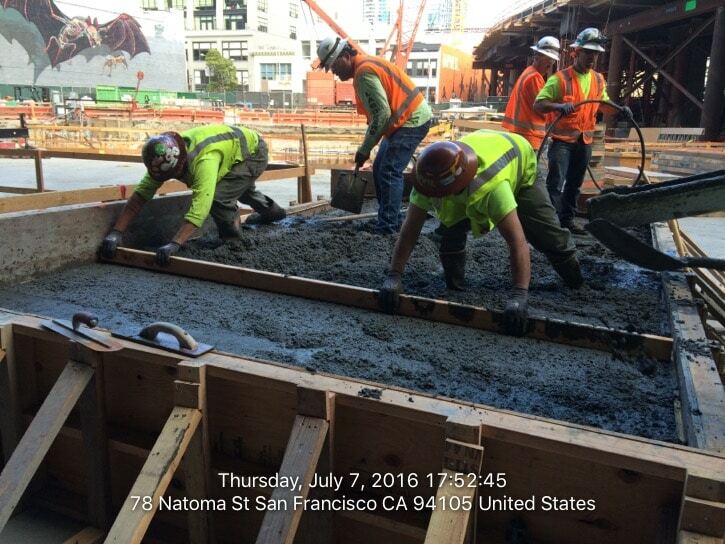 Anvil Builders succeeded in overcoming all challenges and proved to be an invaluable partner in making the Salesforce Transit Center the new focal point of downtown San Francisco and an architectural gem for the entire city.